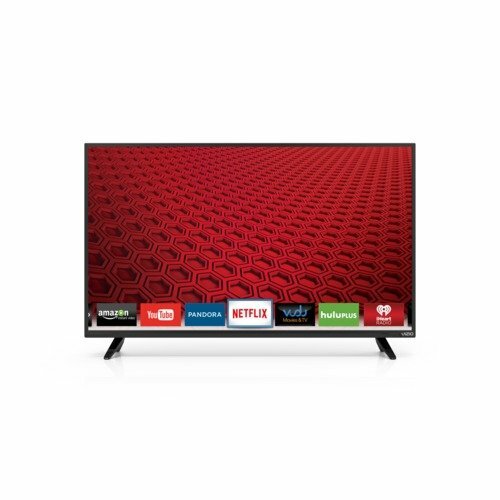 If you want to equip your home theater with an amazing Smart LED HDTV, you should definitely consider the VIZIO E40-C2. This 40-inch TV is one of the company E-Series’ latest Smart TV lineup that was launched earlier this year. This TV sports excellent picture quality and a very contemporary design. Also, it is pretty easy to use, and it provides you with fabulous visual experience in a really affordable price tag. The embedded Clear Action 240 utilizes the powerful image processing, and thanks to a refresh rate of 120Hz, fast moving scenes appear very sharp and clean. Sports fans and gamers will definitely find this feature very useful. Furthermore, anyone who doesn’t want to miss their favorite HD content will love this TV’s internet connectivity and amazing app integration. This model is really fast meaning it does not make you wait when loading apps or connecting to the WiFi. Speedy internet connectivity allows everyone to stream their favorite content from the popular apps like Netflix, Amazon Instant Video, YouTube, Spotify, Hulu Plus, iHeartRadio, and many more. VIZIO Internet Apps Plus allows you to access high quality stuff directly on your TV at any time meaning you’ll be able to instantly enjoy all the latest TV shows, hit movies, music, games, sports, and anything you like to watch. As already mentioned, another amazing feature of this TV is its embedded Clear Action 240 – a feature that utilizes a really impressive image processing engine as well as it improves motion clarity with 120Hz refresh rate, making it possible to see quick and fast action scenes during sports, games, and movies with extremely rich visual details. A built-in WiFi is pretty impressive providing rapid internet connectivity speeds which allow you to stream content as well as watch pretty much anything over the net from your TV with an exciting HD experience. These features are amazing for gaming purposes, so gamers will definitely appreciate the 1080p HD technology, and enjoy all their games with better and greater graphics thanks to these mentioned built-in features of the VIZIO E40-C2 Smart LED HDTV. This amazing TV is not just for gamers though, it is for anyone who wants to get all the best content for their home theater at a great price. 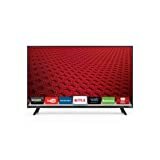 It is extremely important to choose the best picture mode for this TV, and Vizio provides some great choices: Standard (saves energy), Computer, Game, Calibrated Dark, Calibrated, and Vivid. The Calibrated Dark and Calibrated are probably the best choices. The only difference between them is the backlight strength. Calibrated mode is amazing since a full backlight setting is combined with a lot of dark shadow detail to give the image much needed punch. All in all, these two Calibrated modes are the way to go when you look for the best picture on this TV.